AmorOlio began a few years ago in answer to a challenge: how can we educate food-lovers to understand high quality olive oil, to choose and use olive oil with confidence in a way that respects this superb ingredient, and to increase their awareness of the many different flavors and aromas there are in the world of premium olive oils and how this diversity can be put to use in the kitchen and on the table. Working with Paolo Pasquali, owner of Villa Campestri Olive Oil, and his daughter Gemma, we developed a series of six-day programs that we hope will go a long way toward fulfilling this goal. The next one will be October 21-26, to be followed by one in November, from the 5th to the 11th. 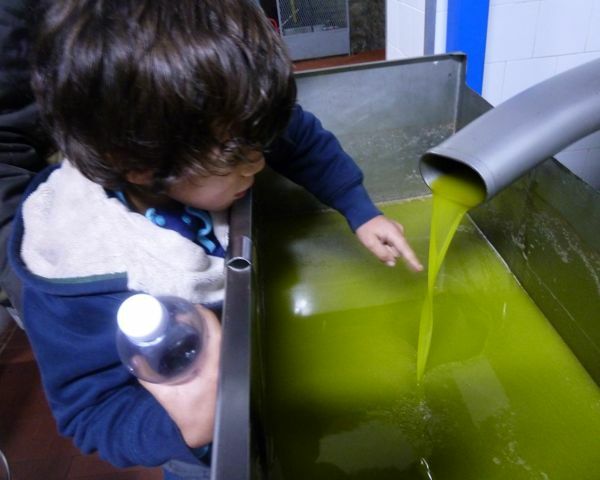 Both these programs are timed to coincide with the annual olive harvest and producing fresh, new oil. It all takes place right there on the grounds of this gorgeous villa high up in the Mugello valley north of Florence. As well as the fall programs, we also do an annual spring program that focuses more exclusively on the kitchen, with five cooking classes during the six days. In addition there are loads of tastings—of olive oil, of wines, of locally produced cheeses and salumi—and visits to nearby restaurants that feature an olive oil kitchen. This is the program for October 2012; the November program will be identical. Plan to arrive at Villa Campestri in the afternoon so that you can settle in before we get down to work at 6:00 p.m. in the beautiful underground Oleoteca where Nancy will explain how olive oil is made and how different types of intervention and different critical points in the process (from variety and weather, to date of harvest and mode of processing) can influence the way olive oil tastes; then we’ll have a structured olive oil tasting with Gemma, gaining new insights into the differences between premium extra-virgins and ordinary supermarket oils, what different flavors relate to (celery? artichoke? tomato leaves? ), and we’ll be introduced to the award-winning techniques developed by Paolo to preserve oil’s freshness long after harvesting. Once the tasting is over, we’ll share an aperitivo and then go upstairs to the Villa restaurant, l’Olivaia, for dinner—more olive oil, of course, and an introduction to the Mugello and its great food and wine traditions. After breakfast, we’ll have a stroll through the oliveto, the olive grove, of Villa Campestri as Gemma explains the care and maintenance of olives and how that relates to the production of fine extra-virgin olive oil. We’ll peek into the villa’s own frantoio (the olive mill) with a quick discussion of what’s going on—or what will go on—and a promise to come back when we harvest our own olives on Thursday. We’ll follow up with a second olive oil tasting in the Oleoteca during which we’ll explore many of the typical defects to be found in oils—defects that are all too often present in less than scrupulous retail outlets, whether gourmet shops or supermarkets, and even in many restaurants. It’s only through understanding defects that connoisseurs can begin to appreciate the qualities of fine oils. Musty, fusty, and rancid are the keynotes—but with luck Gemma will also let us go out with a good taste in our mouths. Then we’re off to a wonderfully old-fashioned trattoria nearby, da Giorgione, for a lunch of local seasonal specialties, including tortelli di patate, the signature dish of the Mugello and so delicious you will never again turn your nose up at potatoes and pasta. Returning to the Villa we’ll have an opportunity for a rest before the afternoon cooking class. This afternoon our first cooking class with Nancy and Chef Jerry Zanieri will explore the many uses of olive oil in the kitchen, from sauces to desserts, including sauteing, braising, poaching, and frying with extra-virgin olive oil, plus gelato dell’olio and maybe a torta all’olio. Dinner in L’Olivaia, featuring what we’ve learned in our class. This morning we’ll visit the weekly farmer’s market in nearby Borgo San Lorenzo and see what we can find for the afternoon’s cooking class—there will be plenty of choices as this is a particularly rich time of the year. Chestnuts, wild mushrooms, possibly some of the Mugello’s famous white truffles, bitter greens (cavolo nero) and savory beans, late-season tomatoes and eggplants, figs, honey, grapes, gorgeous melons—all the mellow fruitfulness of autumn on display. Returning to Villa Campestri we’ll examine our purchases and have an introduction to the fine art of Tuscan cuisine (la cucina Toscana) with a sampling of many of the different products that distinguish this simple, sober, but oh so delicious way of cooking and eating: extra-virgin olive oil, of course, but also wild fennel pollen; an array of fresh herbs from parsley to rosemary to wild nepitella (mint) and sage; pecorino cheeses, both fresh and aged; real ricotta and raveggiolo; beans and farro; pancetta, rigatino, and prosciutto; wild mushrooms; vin santo; and the famous (infamous?) unsalted Tuscan bread. If there are any Tuscan products or processes you’re wondering about, please let us know ahead of time so we can talk about them with the whole group. At 12:30 we’ll be joined by Ian d’Agata, Canadian-Italian, noted wine authority, and also a medical doctor in Rome. As a follow-up to our discussion of Tuscan ingredients, Ian will take us on a tasting tour through several of Tuscany’s best-known and most highly praised wineries, exploring what’s new, and what’s old and still valued, in the ever-evolving world of Tuscan viticulture. Dinner at Villa Campestri, based on what we’ve produced in class. This is field trip day, when we’ll meet the producers of two of the Mugello’s fine products. We’ll begin with Forteto, just down the road from Villa Campestri, a historic cooperative that produces fine cheeses and salumi, as well as other food products (wood-oven-baked bread, fruits, vegetables, et cetera), along with Chianina cattle and pigs. The cooperative began decades ago as a bunch of hippies from Prato set out to establish an alternative lifestyle. Today it thrives as a renowned source for fine foods for shops, restaurants, and retail outlets throughout Tuscany—and indeed the world. We’ll visit the workrooms then have a tasting of some of Forteto’s remarkable cheeses and cured-pork sausages, prosciutti, etc. From there we go on to nearby Selvapiana, a noted wine estate (they also produce extra-virgin olive oil) in the Chianti Rufina zone. Here we’ll spend time with the charming wine-maker and manager Federico Giuntini as we visit his hillside vineyards and ancient cellars deep underground. We’ll learn about Chianti Rufina DOCG (meaning a wine region, not to be confused with Ruffina, a brand name of Chianti Classico)—and why not all Chianti is made in Chianti! We’ll taste a range of Federico’s excellent wines and follow up with lunch at the winery prepared by his wife Nicoletta—with luck this may include a splendid acquacotta, one of the finest products of the traditional Tuscan country table. Time permitting, we’ll return via the little town of Londa where we’ll check out a traditional olive mill, owned by a 90-year-old marchesa who still supervises the production herself. Here the olives are still crushed with giant granite stones and pressed on mats, and we’ll have a chance to see the way things used to be done, before we head back to Villa Campestri for what remains of the afternoon—perhaps a sunset hike up to Cantalupo to see the site of the old medieval watch tower. Dinner at Villa Campestri, a light meal in keeping with the season. This morning we will spend with our guest chef, James Beard Award-winner Sam Hayward from Fore Street restaurant in Portland, Maine, exploring what this great and conscientious chef has to add to all the new ingredients and the nuances of olive oil in the kitchen as we’ve experienced over the past few days—and how we can put our new knowledge to work in our own kitchens. Sam’s imagination will have been working full speed over the last few days and he will have a lot to impart. Lunch based on the production of the class. Afternoon: This afternoon we’ve deliberately left free so you can catch up on your diary, spend some time with new friends, read and write, or just relax in the beauty of Campestri. For those who might wish it, this would be a great time to schedule an olive oil massage; or perhaps a trip to Vicchio to visit the house of Giotto, a fascinating depiction of the life of the legendary 13th century painter who launched the Renaissance; or to nearby Scarperia to visit this enchanting town where the renowned, finely crafted, locally produced knives (kitchen, table, butcher, hunting, even a special knife for an engaged couple) are made—and sold. We’re happy to help make arrangements for this or anything else you might choose to do. 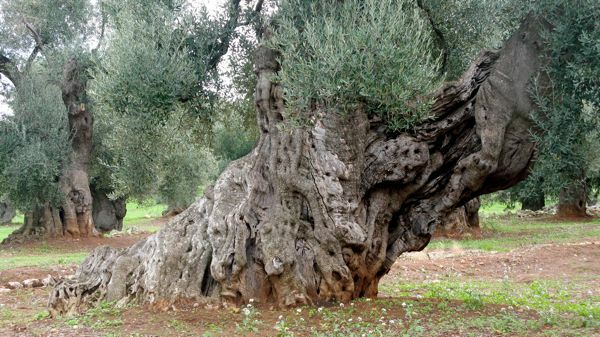 Weather permitting, those who wish to do so will be out in the oliveto harvesting olives. We’ll spend much of the morning helping with the harvest and then go on to Villa Campestri’s own frantoio or mill, where we’ll witness the extraordinary process by which fresh olives are turned into the freshest and finest oil. A chance to taste the oil directly from the press will show you immediately what’s missing from so much of the oil that is available to us commercially. After lunch and a rest, we’ll have our final olive oil tasting with Gemma, and this time Nancy wants to challenge everyone to think hard about the ways we talk about oil and why phrases like “first cold pressing” and even “extra-virgin” are essentially meaningless when confronting a high-quality oil. We’ll talk about the mistakes that are conventionally made, whether in tasting or in description, and how to avoid them. Our gala dinner this evening will begin with the traditional bruschetta or fett’unta dressed with the new oil and proceed from there to zuppa di frantoio, the traditional bean-and-farro soup that is served to hard-working olive pickers. Other seasonal treats will include the justly famous Tuscan chianina steak, served with freshly pressed olive oil as a garnish. The farewell dinner will also be a chance to go over all that we’ve learned, ask more questions, explore more ideas, and in general to sum up our experience. A last stroll around the olive groves, a last look in the frantoio, and then it’s time for departure with a sample of Villa Campestri’s own olive oil to take home. I would like to receive the itinerary for the spring that involves more time in the kitchen please. Arleen, the spring program for this year just concluded about ten days ago. I’d be happy to send you the itinerary–next year’s will be very similar if not exactly the same. Please send me your email address at nancyharmonjenkins@gmail.com and I’ll forward the 2012 itinerary to you. May I also gt a copy of the Spring program. Many thanks. Lorraine, I will forward your request to my friends at Villa Campestri as that is not something I can answer. I’m sure they would be happy to welcome you–and I think arriving a day early and staying a day later is an excellent idea.